One of my illustrations will be published in a forthcoming book, to be released by A Raven Above Press. 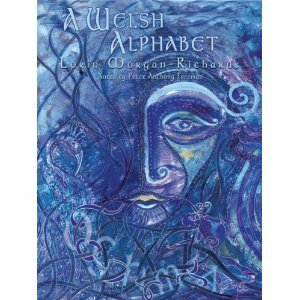 The title of the book is “A Welsh Alphabet” based on Welsh mythology. Put together by artist, curator, writer, poet, and musician Lorin Morgan-Richards, the book will feature art in a variety of styles by various artists/illustrators. “A Welsh Alphabet” is going to be released in conjunction with the 2011 West Coast Eisteddfod festival, taking place in the Los Angeles area next month. If you’re going to be in the L.A. area, remember to save the dates for this Welsh Arts Festival: September 23-25. Forthcoming book "A Welsh Alphabet" to be published by A Raven Above Press, 2011. Book design & cover by Jen Delyth. Here’s the latest Psycho Bunny illustration. Buddy Bear Dreams. Drawn by Michele Witchipoo July 2011. Based on the self-published comic by Michele Witchipoo. You can get the latest mini-issue of Psycho Bunny #3.25 for $3.00 ($2.00 + $1.00 for S&H) via PayPal to: psychobunnycomix@aol.com. Specify that you want issue #3.25.